Há muito não se vive um momento tão tenso na Europa. Os líderes europeus parecem ter esquecido como lidar com a Rússia. E também esqueceram que, há cerca de setenta anos, havia 7 milhões de soldados soviéticos em território europeu. Ok, muita coisa mudou. Porém, a Ucrânia continua zona de influência russa, goste-se disso ou não. E Moscou não vai aceitar resignado que Kiev migre para a esfera de Bruxelas (nem na União Europeia e muito menos na OTAN). Quando a corda apertar, a pergunta que se vai fazer é “quantas divisões tem Durão Barroso?”. Outra questão possível é: quanto de gás tem a Europa? Segue artigo interessante da RIA NOVOSTI (percepção russa, portanto), sobre a crise relacionada à aproximação da Ucrânia com a União Européia. But of all the powerful people in the world, the EU commissioners are probably the most forgetful. When scanning their statements on Ukraine, one gets an impression of dealing with individuals who forget not only their own words but even of locations where they happen to be or to have been. Here are some examples. Let’s start with the recent summit in Minsk of the EU, Ukraine and the Russian-led Customs Union. What was it if not a trilateral meeting (Brussels, Kiev, Moscow) on the problems of Ukraine’s association agreement with the EU? But if one believes some of the recent statements of the EU leadership there should never have been a trilateral meeting with Ukrainian and Russian officials. The head of the European Commission Jose Manuel Barroso expressly ruled out such a development just nine months ago, and continued ruling it out for months after. Here are Barroso’s own words, echoed by Catherine Ashton’s many statements in the days of the Maidan crisis, following the decision (fully legitimate) of the then Ukrainian president Viktor Yanukovich to delay signing the Association Agreement with the EU. 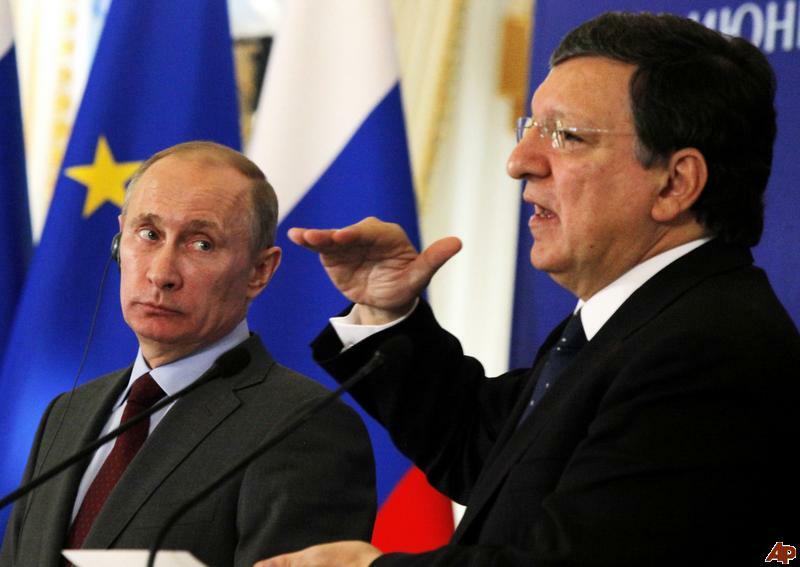 “Russia’s inclusion in the talks on setting up of an association between the EU and Ukraine is fully unacceptable,” Barroso was quoted on November 29, 2013, as saying by the world’s news agencies. This phrase of Barroso’s, uttered at the very beginning of the Ukrainian turmoil in 2013, created the mechanism that drove the political and economic relations between Russia, Ukraine and the EU into a dead end. How can one resolve differences between three sides without actually talking to one of them? Or without making any concessions to Kiev (this was Barroso’s and Catherine Ashton’s stance until the violent change of government in Ukraine)? Now Ashton happily participates in a trilateral meeting in Minsk – almost one year and thousands of dead later. Tens of billions of euros have also been lost but then throwing away billions of euros is nothing new for Brussels. A minor problem – the timing of the signing of the Association Agreement between Ukraine and the EU – was allowed to grow into Europe’s worst security crisis in decades because of wrong policies the people in Brussels now want to forget. They forget that Yanukovich was not anti-European and he did not cancel the agreement but just wanted to delay its signing by a few months and suggested a trilateral meeting to iron out the differences between Russia, Ukraine and the EU. Europe’s leaders seem oblivious to the harm these reversals and “memory lapses” do to their reputation. In December 2013 they criticised Yanukovich’s deal for a gas discount with Russia for “increasing Ukraine’s dependency” and “postponing reforms”. In Minsk in August 2014 they demanded that Russia grant Ukraine a similar discount. From November to February they denounced Yanukovich, Ukraine’s democratically elected President for authoritarianism, flocking to Maidan to lend support to the protesters and hailing his violent overthrow when it finally happened. They ignored or “forgot” the presence of many Nazis and fascists amongst the rioters who now have important positions in the new government. They insisted that Yanukovich and his police treat the rioters with maximum restraint whilst turning a blind eye or “forgetting” the violence of the rioters and the Molotov cocktails thrown at policemen (leading to several deaths). When Yanukovich was rumored to have given the police an order to use live bullets (since proved to be untrue) the EU leaders threatened him with sanctions and international tribunals. No sooner was Yanukovych overthrown then they angrily denounced protesters in the east who protested against his overthrow as “separatists” and “terrorists” and actively encouraged the new coup appointed authorities to unleash the full force of Ukraine’s army against them. Not only live bullets, but aviation, artillery and even ballistic missiles were used. But the people in Brussels did not notice or “forgot” all this just as they “forgot” their previous calls for restraint whilst proving unable to utter a single critical word against their protégés in Kiev. Before Yanukovich’s overthrow the EU officials insisted on negotiations between his government and the rioters and on 21st February 2014 they brokered an agreement between them. After Yanukovych’s overthrow all talk of negotiations ended or were “forgotten” and the agreements of 21February 2014 ceased to apply. The free, independent and never subservient European press politely refused to notice or perhaps it too “forgot”. Instead, it concentrated its wrath on Yanukovich’s supposed misconduct in “abandoning his post” – in reality refusing to die at the hands of EU-backed “peaceful protesters” with knives, Molotov cocktails and sniper rifles. The people in Brussels turned a blind eye or “forgot” the destruction of Slavyansk, Donetsk and Lugansk, the killing of thousands of people and the forced expulsion of countless others from their homes. No calls for restraint there. Instead they found cause for concern in Russia sending a humanitarian convoy to relieve the suffering. Forgetting all their calls for negotiations and restraint before Yanukovych’s fall, they failed to support Russia’s efforts to achieve a peaceful solution and ignored the coup-appointed government’s failure to honor commitments it made on 17th April 2014 and 2nd July 2014 for a ceasefire. Instead, they denounced Russia for the civil war in Ukraine which the EU itself helped to unleash. This forgetfulness of EU officials is contagious: it has transferred itself to civil society, which is supposed to control them but which instead simply repeats their lines. Meanwhile not a single official or statesman from the EU has accepted responsibility or been made to answer for the consequences of their actions in Iraq, Libya or Syria or now in Ukraine. Carl Bildt and Radek Sikorski, originators of the EU Association Agreement, are still there. So is Merkel who more than anyone else had it in her power to prevent this disaster but who failed to do so and who was most outspoken in rejecting Yanukovich’s offer of tripartite negotiations with the EU and Russia back in November. So is Walter Steinmeier, who brokered the agreement of 21st February 2014 and the ceasefire deal of 2nd July 2014 both of which have since been broken. As this disaster becomes a disaster not just for Ukraine, but for Europe, the “forgetfulness” in Brussels is projected from past to future: having forced Ukraine to sever its ties to Russia, the EU officials “forgot” that Ukraine has no one but Russia to supply it with gas this coming winter seemingly “forgetting” that summer is actually replaced by autumn and later by winter. In an interesting glimmer of dawning reality the EU’s commissioner for energy Gunther Oettinger suddenly remembered that the Ukrainian government has a record of stealing Russian gas destined to go to the EU. In the 1990s, EU officials politely called such incidents leaks or tried to lay the blame for any interruptions of Russian transit gas to Europe on the Russians. 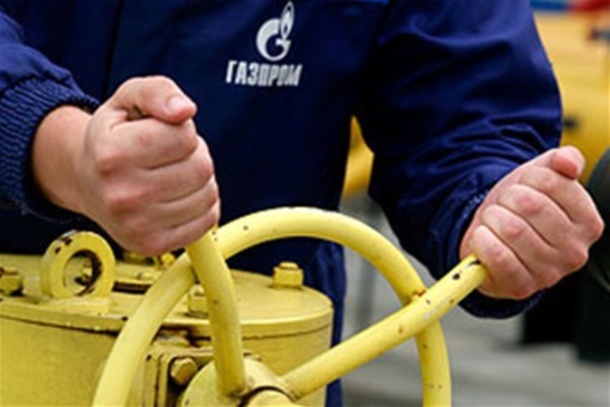 Now that Ukraine has not yet contracted for any Russian gas for the coming winter, the leaks may become a major problem for the EU. Will this make the forgetful people in Brussels finally face reality and wake up? Esse post foi publicado em Assuntos Internacionais, Guerra, Rússia/União Soviética, Segurança e Defesa, União Européia e marcado Barroso, Bruxelas, crise ucrania, energia, gas Russia, gas russo, inverno Europa, Kiev, Moscou, OTAN, Putin, Ucrania, UE por Joanisval. Guardar link permanente.